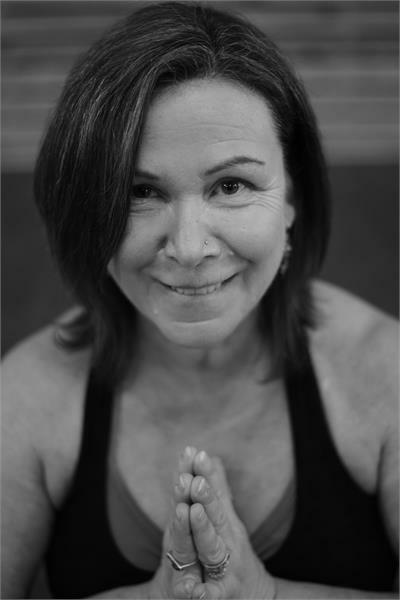 Ellen came to hot yoga 11 years ago after sustaining neck and shoulder injuries in a Motor vehicle accident. Her physiotherapist suggested it as a great way to heal her body...little did she realize it would offer her so much more! Meeting herself on the mat and in the mirror started to teach her acceptance and compassion for herself. Outside of the hot room Ellen is a Registered Clinical Counsellor with over 30 years experience working with individuals who have had catastrophic injuries and multiple, complex trauma. She has long dreamed of incorporating the gifts yoga has given her into her therapy practise. She took the Moksha Level 1 training in Kelowna in July 2015 and is grateful to have found a Moksha home at MYW. Ellen’s background in mental wellness work gives her a unique perspective on how yoga can heal beyond the purely physical. With a view to integrating her 2 passions of supporting folks who have experienced trauma and yoga Ellen completed her 300 - hour Trauma Center Trauma Sensitive Yoga training in March 2018. She is excited to offer TCTSY classes and continues to offer trauma informed classes and individual sessions. 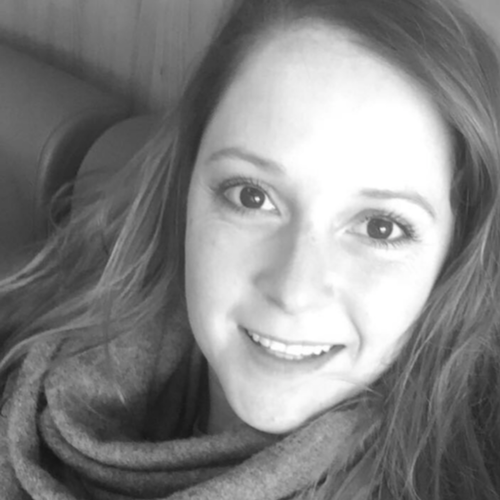 Ellen approaches all of her teaching with a trauma informed lens and enjoys sharing mindfulness, compassion, body positivity, breath awareness and humour with her students. 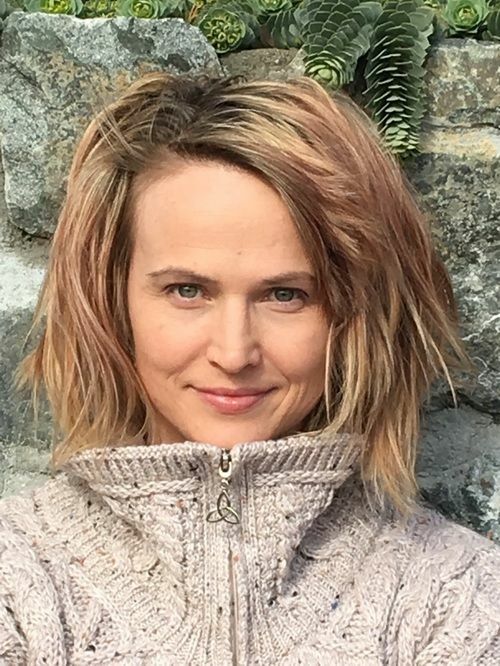 Ellen completed her Moksha flow training in North Vancouver in May 2018. 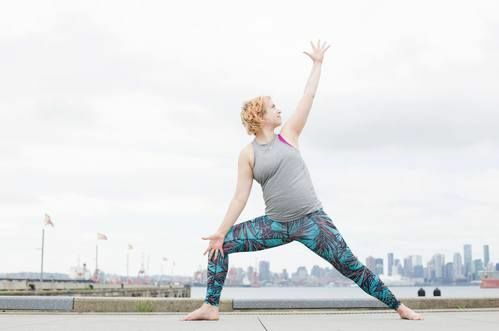 Hannah is a certified Moksha and Moksha Flow teacher and the co-owner of Moksha Yoga North Vancouver. Hannah’s passion for building community as well as her clear vision around creating a studio that is both accessible and sustainable will be invaluable to the success of HYS moving forward. It will be great to have Hannah come and guest teach and to introduce her to our community. I found myself in my first hot yoga class downtown about 15 years ago. I remember wanting to run out of the room, but stayed and fell in love with the challenge and serenity of it. For a few years I left my practice and got caught up in the business of life - children, running a business etc. I knew I was unhappy and missing something in my life. It was yoga and the peace I felt from it, the balance that it helped me strive for. I found my way back to HYS once again, and began practicing as often as I could and started to feel a shift within. I started doing desk shifts at the studio to get a feel for studio life as a career and spent time thinking about becoming a teacher. By October 2017 I had enrolled in Moksha Level 1 Teacher Training and attended training in Nicaragua in March 2018. Currently I am practice teaching and excited to continue learning yoga living on and off the mat. I am ecstatic to be a part of the management team at HYS while enjoying a fulfilling shift in gears. Amy has been practicing yoga over 10 years, and completed Bikram Yoga TT (9 weeks of study) in 2014. Since then she has completed workshops with Craig Villani, Gianna Purcell, Benjamin Sears, Siri Om Khalsa, Christine Price Clarke, and a 50 hour Yin Yoga TT with Bernie Clarke. She is excited to study Vinyasa TT with Ryan Leier in July. 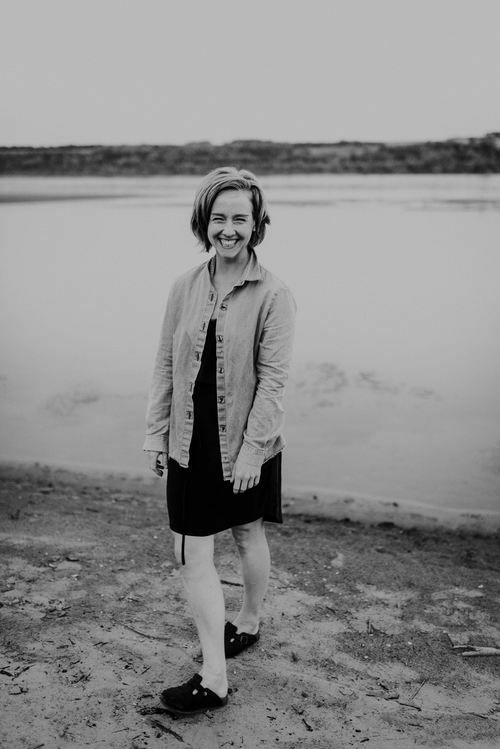 By bringing a healthy dose of gentleness, play and compassion to her classes, Amy aims to hold space for body sizes, shapes, abilities, genders, ethnicities, and ages to grow their practice. She is interested in mediation, self study and weaving together traditional teachings with everyday common life. I knew it were time to start down the dirt path of teaching yoga when I realized that my absolute fave place to be - was the yoga space. If you find your way into my class, you’ll likely feel equally motivated and rejuvenated. You will be challenged yet supported. My hope is that by class end, you’ll feel bittersweet- happy you’ve done it, a little sad that class is already over. I’m devoted to my husband, my cats, and to the preservation of all other species - large and small. Hello, my name is peter, and I am a certified athletic therapist and yoga instructor. My goal as a professional is; to combine my knowledge, and skillset in athletic therapy, with the practical experience in yoga, in order to offer my clients/students the best care, individual to their needs. The practice of yoga came as a natural avenue for me to finally find a bit of quiet in my thoughts. My mother, who is Buddhist, tried to teach me meditation when I was young. I didn’t realize until I began the practice of yoga, that I had to move my body to find stillness in my mind. To me, yoga is a system of techniques we use to increase the mindbody connection. I believe that a well sequenced and well taught class can offer benefits to anyone regardless of their ability. My style of practice and teaching is very much influenced by my formal education in athletic therapy, and years on the mat. Hello! My name is Marisha Schaefer, from Vancouver. As a former kickboxer, incurring multiple injuries, I was determined to find a naturally sustainable chronic pain management plan. 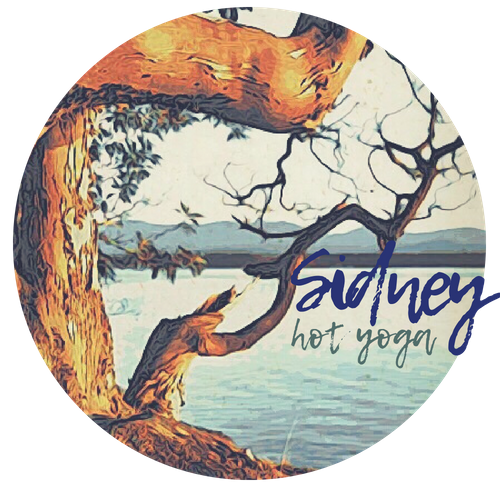 I discovered hot yoga about 15 years ago, and have been enjoying the benefits ever since. I love the way that yoga connects my mind, body, and heart. And I love to share this joy with others. After a burn out in the big city, I left to travel the world for a few years to discover my heart’s true calling. Why, yoga of course! I started practicing yoga as a means to move and stretch my body in a new way outside of the gym. It didn't take long for the physical benefits to start layering with mental and emotional benefits and my practice became deeper and more spiritual than in any other form of movement or exercise I had previously known. You can expect to move from the heart in a grounded, slow, and steady way in my classes. My yoga journey soon led me to continue studying holistic medicine through the ancient wisdom of Chinese medicine. I am now an Acupuncturist as well as a yoga teacher. I often weave the two together in my classes. 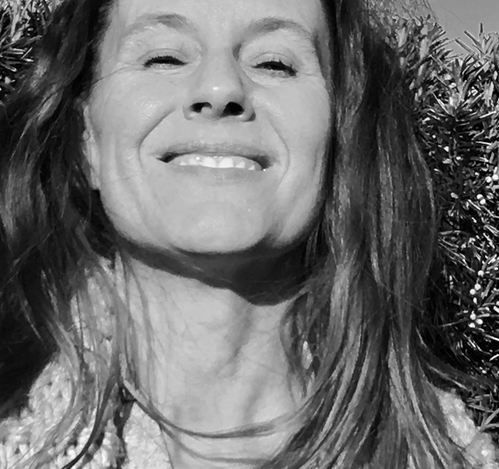 Laura has been practicing yoga since 1998, and teaching in Saanich and the WestShore communities since 2006. Studying and practicing with Yin pioneers like Bernie Clark, Sarah Powers, and Paul Grilley, Laura has been specializing in Yin Yoga for over a decade. Her approach is one that is blended and well rounded, bringing knowledge and a sense of humour to lead classes that are physically and mentally beneficial to participants of all ages and abilities. Melissa is a nature loving adventurous type of gal. When she’s not in the hot room, you’ll probably find her at the beach, in the bush hiking with her dogs or at a concert. 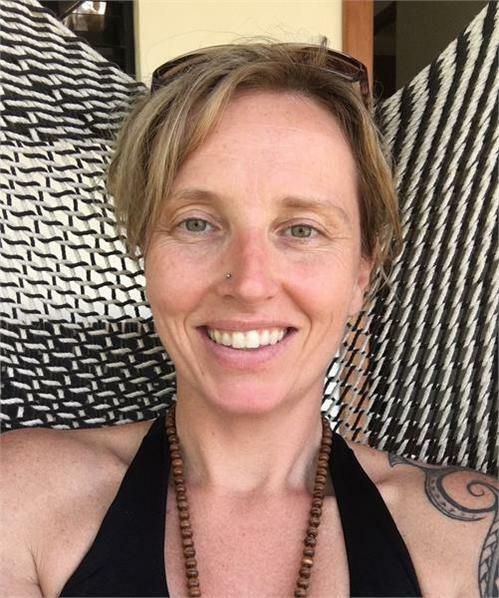 Since Melissa completed the 500 hour Moksha level 1 training, she’s also completed Moksha Level 2, a 200 hour hatha/vinyasa training, advanced vinyasa, trauma sensitive and yin. She most recently returned from the Moksha Flow Training. Melissa loves the freedom and expression that yoga unfolds. Her classes are energetic, playful, supportive and nurturing. She’s looking forward to seeing you in the hot room!